File this under: just for fun. When I was younger, I was notoriously sensitive about my first name. I hated it. There were so many ways to make fun of it. The least of the insults was “Broccoli.” When high school came along, the name-calling got more creative. 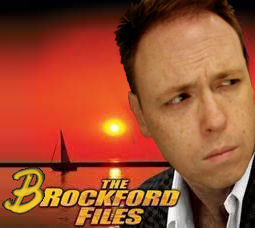 One of my good friends, Pete, started calling me “The Brockford Files” and that stuck for a long time. I’m still friends with Pete. Even roomed with him in college. Thanks to Facebook, our friendship is now public and on the internet for all to see. 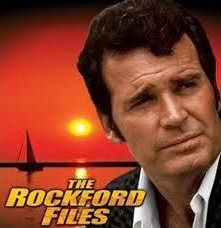 Yesterday, he posted a picture of James Garner with the Rockford Files logo on my wall to remind me and keep me humble. Jan 17, 2012 What Are You Watching? Can I borrow your awesome car one day Mr. Brockford. Does the existence of Brock Samson make you feel better? Because Brock is a pretty manly name. Oh, I appreciate the name much more now. Back in the day, it wasn’t a name you really ever heard, so I didn’t have context to understand how manly it is. Now that I do, I’m cool with it. I’m trying to have some empathy here, but I have no idea what it’s like to go through life with a name that people constantly make jokes out of. On a daily basis.